Approximately 10 million Filipinos are living and working abroad. LETTERS FROM ALASKA is a bird’s eye view of the stories of these immigrants and migrant workers. It tells the story of Arvi, an immigrant from a small province in the Philippines called Mindoro, who left his hometown for America in search of a better life. Now working as a seafood processor in Alaska, he finds that life can be just as difficult in the US, if not more, than in the Philippines. An incisive and humorous satire on American foreign policy, THIS BLOODY BLUNDERING BUSINESS traces the history of American intervention in the Philippines following the Spanish-American War. A silent movie format with lively ragtime piano music is combined with a dramatically understated narration and excerpts from “newsreels” of the period to reveal the nature of American attitudes toward Third World peoples and cultures. While the film provides an impressively documented analysis of America? “Manifest Destiny,” it also offers compelling insights into that period? significant parallels with contemporary American foreign policy. BLEACHED: A young Filipino-American girl loses her identity when she uses a bleaching cream to lighten the color of her skin in order to gain her mother’s approval. A documentary that focuses on gang involvement of Filipino immigrant youth and their discovery of a unique brotherhood that left an indelible impact in their lives.THE BROTHERS OF KAPPA PI is the story of a fraternity based in Queens, New York. Kappa Pi is composed of young Filipinos, mainly immigrants, fostering the ideals of their Philippine revolutionary heroes. A look into the ancient and deadly Filipino Martial Art of Eskrima/Kali/Arnis. Eskrimadors traces the development of the fighting art from its roots in tribal warfare, to its evolution into a sport practiced in over 30 countries worldwide. Shot entirely in the island of Cebu, the birthplace of this fighting art. 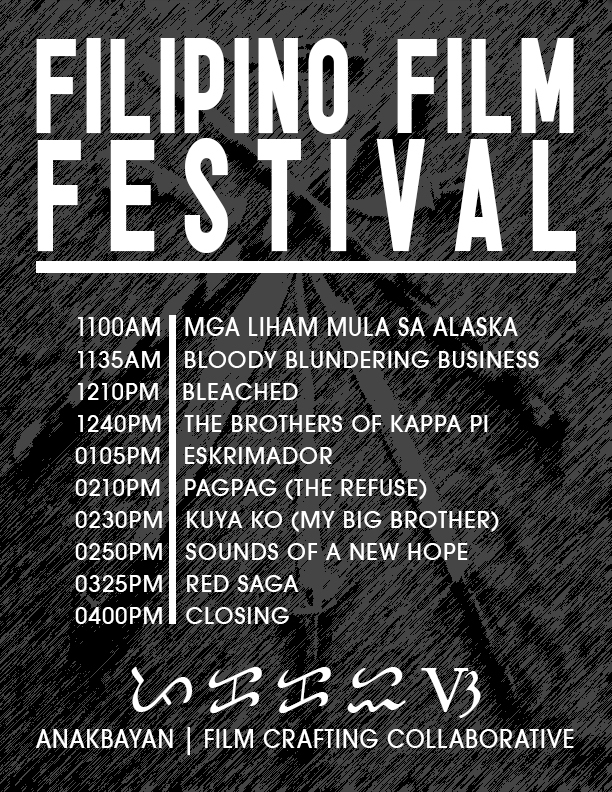 PAGPAG is a story of love and survival in one of the most dangerous landfill slums located in Manila, Philippines. Perla, a 70-year-old ‘pagpag’ –garbage food– vendor, seeks a better life for her granddaughter, and financial relief for herself, by setting up an “audition” to win over adoptive parents from abroad. The resulting clash of cultures (and expectations on both sides) provides an utterly surprising meditation on the nature of family love, and the harrowing effects of desperate poverty. After being humiliated and bullied on the basketball court, the only thing that 14 year-old Daryll wants is a new pair of sneakers. Instead, he comes home to an older brother who he hasn’t seen in five years. With a language barrier, cultural differences, and a small room the brothers must share, Daryll will learn an important lesson about family. SOUNDS OF A NEW HOPE is a documentary film about the life of Filipino-American MC, Kiwi, and the growing use of hip-hop as an organizing tool in the ongoing people’s struggle for national liberation and genuine democracy in the Philippines. A vivid landscape of metaphor, and a timely and poetic take on the contemporary peasant struggle and the protracted people’s war in the countryside. Thank you for an inspiring 2013! Dare to struggle! Dare to win! As we are in the first few days of 2014, allow us to say: THANK YOU! Thank you for your continuous support and belief in Anakbayan New Jersey’s work and vision. 2013 wouldn’t have been as successful without you all. Because of this, we are confident to say that we are so ready for 2014. Together, we will continue to dare to struggle and dare to win! NJ DREAM Act 2.0! Together with other youth & students in NJ, we’ll be fighting for access to state financial aid for undocumented youth. Help for the Philippines – Organizing for a solidarity & relief mission to the victims of typhoon Haiyan in the Philippines. We will continue educating, organizing and mobilizing the youth for the rights and welfare of our communities here in New Jersey and back home in the Philippines. 1. JOIN – Join the movement! Become a member of Anakbayan now. I WANT TO JOIN ANAKBAYAN! 4. RELIEF & REBUILD – Help support our relief and rehabilitation efforts in areas affected by the Super storm Haiyan by donating to NAFCON’s Bayanihan Relief and Rehabilitation Program. Anakbayan Calls to Unite and Strengthen the Movement for Immigrant Rights in the U.S.
Anakbayan New Jersey commends the passage of the In-State Tuition Bill, which was signed into law by Governor Chris Christie on Friday, December 20. Through the sustained efforts of a youth-led movement, New Jersey now joins 18 other states with similar policies, marking a major milestone for grassroots community organizing in the state. Effective immediately, undocumented youth who have attended at least 3 years of high school in New Jersey now qualify for in-state tuition rates at institutions of public higher education. Commonly referred to as the NJ DREAM Act, the bill had initially opened tuition assistance programs like Tuition Aid Grants (TAG) to undocumented students. However, the Governor struck provisions for state financial aid following a compromise reached with Democratic legislators. Christie expressed misplaced concerns that such provisions would turn NJ into a “magnet state,” and that access to these programs was an overreach and harmful to the state economy. These arguments are untrue because financial aid to undocumented immigrant students would make up less than 1% of state aid, with less than 1000 students per year estimated to qualify after completing the FAFSA application and meeting income standards. Moreover, states with similar laws like New Mexico, California and Texas already offer access to state aid and have not experienced negative economic consequences. Though only a partial version of the NJ DREAM Act, the successful campaign for In-State Tuition is a historic victory for Filipino youth and other immigrant communities. It is the culmination of more than a decade of community organizing and lobbying. It is a glimpse of what the future can hold for strong, united and organized communities. Last year, the NJ DREAM Act Coalition (NJDAC), a product of the initial push for tuition equality from 2009, partnered up with New Jersey United Students (NJUS), Anakbayan NJ (AB-NJ) and Wind of the Spirit (WOTS) to build a coalition to revive the campaign following President Obama’s announcement of the Deferred Action for Childhood Arrivals (DACA) Program. By building a grassroots movement of youth, community, faith-based and labor groups, reinforced with engaging with state legislators through lobbying visits, the NJ Tuition Equity for DREAMers (NJTED) campaign demonstrated the power of collective action in challenging unjust and discriminatory policies in the face of legislative bureaucracy and partisan bickering. 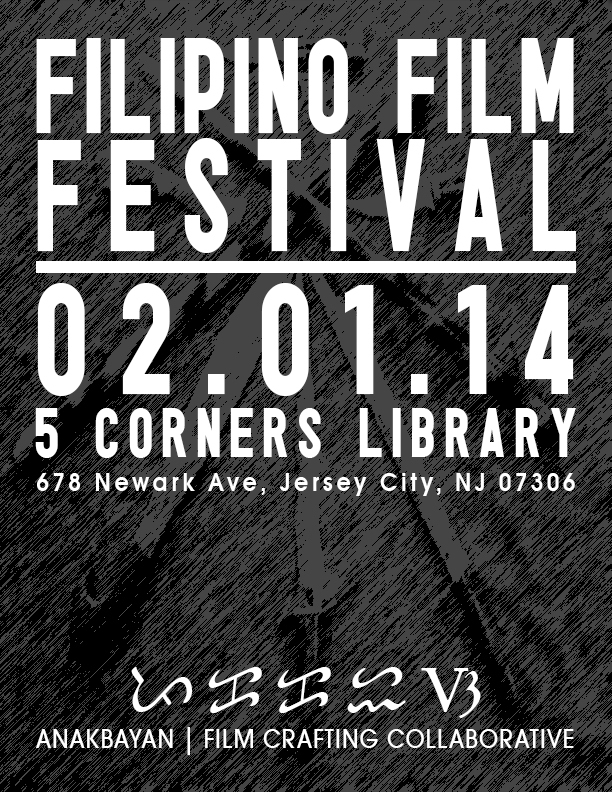 Filipinos in NJ had much at stake in this issue. An estimated one in every six Filipinos in the United States is undocumented. With a growing population of 125,000 Filipinos, New Jersey has the fifth largest population of Filipinos in the nation. Filipino-Americans played a significant role in this year’s fight for the NJ DREAM Act, especially in Jersey City, which is home to the second highest concentration of Filipinos in the state. On February 27, Anakbayan NJ worked closely with then-Councilman-at-Large [now, Council President] Rolando Lavarro Jr. and community allies to bring forth what had been the first municipal resolution endorsing the call for tuition equality in NJ. Pursuing the legacy of solidarity work from exemplary Filipino-American activists such as Larry Itliong and Philip Vera Cruz, Fil-Am youth leaders helped coordinate and organize local and statewide actions that featured the re-emerging immigrant rights movement in NJ. The “NJ DREAM Act Week of Action” in May and “Share the DREAM Rally” in November brought together groups and individuals from diverse backgrounds, united in the mission to uplift immigrant communities from the injustices caused by racism and discrimination. The In-State Tuition law is a stepping stone towards further progress. Anakbayan NJ and the rest of NJTED coalition remain dedicated to genuine tuition equality and will continue fighting for a complete NJ DREAM Act, which includes the crucial piece of providing access to state financial aid to already distressed undocumented youth and their families. The next immediate step is ensuring implementation of the law. In time for the spring semester, public colleges and universities must be guided, and held accountable, in the transitional process of adjusting tuition policies for undocumented students. AB-NJ also reaffirms its commitment to the broader cause for genuine comprehensive immigration reform in the United States, which must include an end to deportations, family separation, and institutionalized discrimination against all immigrants, while also addressing the root causes of migration. This New Year, Anakbayan NJ calls on Filipino youth, especially DREAMers, to resolve to be part of this generation’s continuation of the civil rights movement. History has shown that those who dare to come out of the shadows are the ones who stand a chance at overcoming oppression. Our identity as Fil-Ams takes root in five centuries worth of immigration history and community activism. Become a member or supporter of Anakbayan today! Email Yves Nibungco, Secretary General of Anakbayan NJ, at yvesnibungco@gmail.com with “AB NJ Membership” on the subject line. Fight for Genuine Comprehensive Immigration Reform! !